In a perfect world all microscopical specimens would possess natural contrast, but most specimens either possess no inherent contrast, or the preparation or specimens renders them translucent or reflective. Contrast results from the interaction of the specimen with light; these include absorption, reflection, transmission, phase change, polarisation (change in the wave vibration direction), refraction, diffraction and fluorescence. 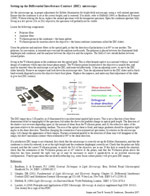 Our eyes (and electronic cameras, PMTs, detectors), however, will only respond to brightness and colour; they will not see phase changes, diffraction, refraction, polarisation or magnetic and electric vectors of radiation, so it is the function of microscopical contrast enhancement techniques to convert and display the information present in the image into variations in amplitude and/or colour. Stained cells and tissues can be observed with transmitted-light brightfield illumination. Unstained cells and tissues are normally viewed using phase contrast or Differential Interference Contrast (DIC). These four example images in the header show how a single image of mouse kidney shows up as unstained in brightfield microscopy (barely detectable); by phase contrast; by differential interference contrast and by fluorescence microscopy. It is, of course also possible to combine fluorescence with phase contrast, or with DIC. Smaller features in the object are always depicted in the final image with less contrast than larger features. Those features that have low intrinsic contrast in the object will have even lower contrast in the image, and in addition as the resolution limit is approached, contrast in the image falls off. Furthermore, as noise in the image increases, contrast is reduced, and both under-sampling and reduction in the dynamic range will also lead to reduced contrast in the image. In order for any image to be visible, it must have contrast (regardless of whether the object is resolvable by the microscope). Overall visibility of a feature is therefore dependant upon contrast, resolving power and shape. 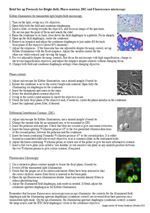 Further information on both phase contrast and DIC microscopy can be found in the references below and in Downloadable PDFs in the boxes on the right-hand of this webpage. Fluorescence microscopy is another technique which is used extensively throughout biological and medical science. 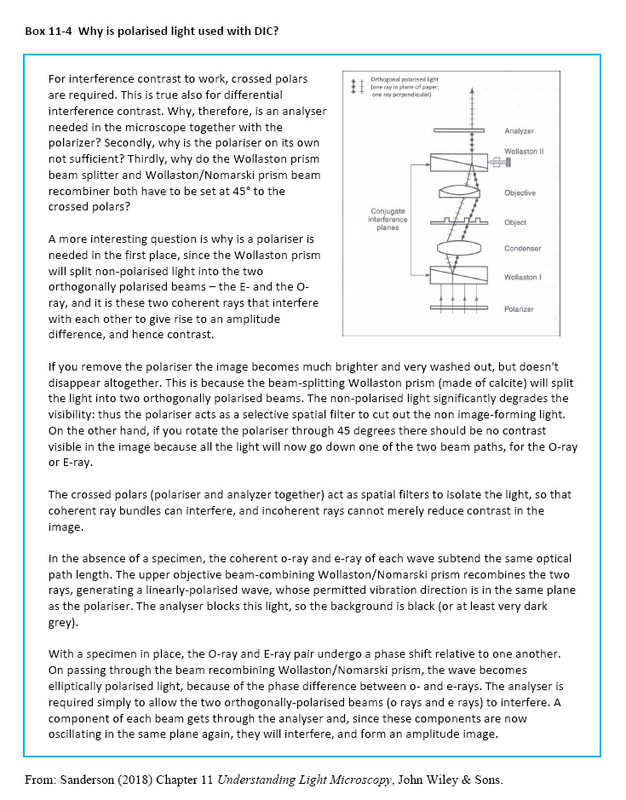 Sanderson, J.B. (2002) Practical Control of Contrast in the Microscope (II). Quekett Journal of Microscopy 39: 275-288. Sanderson, J. B. (2000) The Theory of Contrast Control in the Microscope (I). 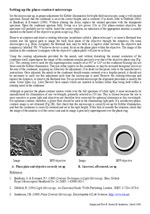 Quekett Journal of Microscopy 38: 617-627. Sanderson, J.B. (1998) Contrast Enhancement Techniques for Light Microscopy in: Cell Biology: A Laboratory Handbook 2nd Edn. Vol 3 (ed. J Cellis) pages 15-33. Sanderson, J. B. (1999) Phase-contrast microscopy Encyclopaedia of Life Sciences (ELS), John Wiley & Sons, Chichester. Oldfield, RJ (2001) Differential Interference Contrast Light Microscopy Encyclopaedia of Life Sciences (ELS), John Wiley & Sons, Chichester. Lasslett, A (2006) Principles and Applications of DIC Microscopy Microscopy & Analysis supplement Sept 2006 S9-S11.